This entry was posted on May 22, 2017 by Alexandra Demolling. Taking a cold shower every day can seem terrifying to those who have never done it whereas a veteran enjoys the experience so much that he may no longer take hot showers! The practice of cold showering is rooted in the tradition of different nations and has gone through different periods. Russian, Finnish, Thai, Korean, Japanese and many other populations have practiced it and still practice cold showering; although it may sound like a ritual there is a lot more to it. Indeed, many are the benefits that you can get (here and here some scientific support) when embracing this ancient practice. For those who decide to get aquainted with this practice our advice would be to take a step at a time. Begin with the usual warm shower and finish with 5 seconds of cold water on the whole body. As the weeks go by you will slowly get to two minutes or more up to the point of using only cold water (you will still have benefits even if you do not give up hot water completely ). It is important not to rush into it but to slowly get used to the temperature change in order to avoid any problems. Once you have taken this road, we can move on to list what are the benefits you can get by running regular cold showers. Let's start with the first benefit which is immunity enhance and therefore a greater resistance to diseases and infections. In fact , it turned out that the people who take cold showers regularly are less susceptible to the common cold, flus , varicose veins and hemorrhoids. The practice of cold showers also improves blood circulation because the exposure of the body to cold constricts the blood vessels bringing blood flow to a much higher pressure. This improves blood circulation and is beneficial to a number of issues such as cold hands and feet or Reynaud's syndrome. Heat exposure, on the other hand, causes the opposite effect: it lowers blood pressure. Taking hot baths on a regular basis can significantly reduce fertility in males since it appears to reduce sperm count. In addition to the benefits that we already mentioned, those who regularly practice cold showering will improve their fertility (we are referring to mainly men's fertilty). The practice of cold showers is also beneficial for weight loss. Exposure to cold stimulates the production of brown adipose tissue rather than white adipose tissue which is strongly involved in the process of thermogenesis; the metabolic process which consists in the production of heat by the body mainly in adipose tissue. These cells burn glucose to produce as much thermic energy as possible. Having a larger amount of brown adipose tissue allows to burn more energy and thus the possibility of losing more weight. The same holds true for sleep. It may seem like a paradox but a cold shower can help induce sleep. Physical stress and shock that a cold shower can cause before going to bed helps to calm down after the adrenaline rush that is experienced under cold water. Cold showers help to normalize body temperature and reduce sweat. Those who suffer from cold hands and feet or those with excessive sweating can solve their problem thanks to cold showers. For example, if you ever happen to sweat after a hot shower, you can try to finish your shower with a cold jet. This will help to limit the sweating after a hot shower until it disappears over time. 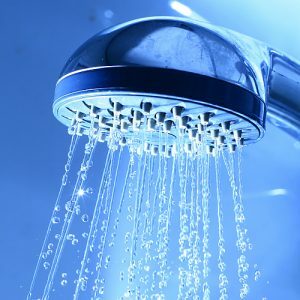 In addition, it was discovered that cold showers help to prevent depression due to the effect of cold on the brain as it stimulates the main source of noradrenaline, a neurotransmitter used to help alleviate depression. Let's think about the euphoric effect we experience after a cold shower as well as after exercise due to endorphins release. 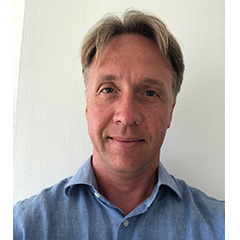 As we saw earlier, the habit of taking cold showers increases brown adipose tissue levels, blood pressure and body temperature; all reactions involving an increase in basal metabolism; these factors enable the body to become more efficient and lose more calories as they are used to provide energy for other metabolic reactions. An increase in metabolism also leads to faster muscle growth which allows to achieve better performances for those engaged in physical activity. Even the lymphatic system will benefit and therefore the entire body. 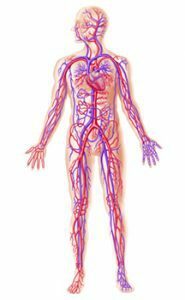 The lymphatic system carries lymph throughout the body and this is based on muscle contraction. Muscle contraction tightens the lymph up to the thoracic duct so that it can mix with the blood and enter into all organs of the body. Cold showers causing muscle contraction ease lymphatic transport giving unique benefits to the body. Another great result produced by cold showers due to the muscle's contraction that occurs is the elimination of toxins and dead skin cells; This prevents various types of infections, gives a tonic and fresh glow to the skin and promotes healthy hair appearance. Cold showering also creates a particular effect to people who decide to do it: the need of taking deep breaths. This happens to counteract the "shock effect" and the vasoconstriction caused by the cold leading the body to need for more oxygen to breathe and maintain body heat. This process opens up the lungs like when practicing intense physical activity and consequently carries a high supply of oxygen to the body; a regenerating condition especially when you feel tired. To briefly summarize this practice, I recommend to start with a few seconds of cold water at the end of your normal shower and then increase up to two minutes after a couple of weeks until the body is ready for cold water only. If you happen to feel little pain or thicks in the head it means that you're probably going too fast or you need to use slightly warmer water. Do not rush! As a last tip, since we are talking of improving our health, I think it is also important to use cleaner water free of toxins. For this reason I higly recommend to add a simple but effective shower filter at home to eliminate heavy metals, chlorine and many other toxic substances that can endanger our health. You can find shower filters for as little as 39,00 € for about 8-12 months (depends on how many people use its hardness). 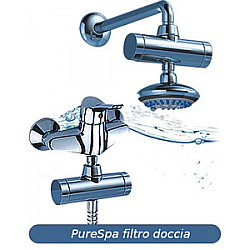 PureSpa Shower Filter is the best on the market to purify water as it is the only one that contains 8 filtration steps (2 x 4), which are based on the combined work of a KDF55 filter and a GAC ​​filter. The KDF55 filter removes lead, mercury, iron and other heavy metals, chlorine, hydrogen sulfide, tricolorometano, rust, fungi and bacteria, as well as any taste and smell of sulfur. Have a good shower and let me know what benefits you notice!